This film will be introduced by Humanities faculty and an opportunity for discussion will follow the film. Highlight: "To understand evil, to understand how human beings perpetrate evil, we have to actually look at the people who do evil." 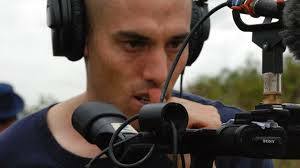 Filmmaker Joshua Oppenheimer spent seven years with former and present paramilitary "gangsters" in Indonesia, some of whom he engaged in making cinematic recreations of their nationally celebrated genocidal killings, while also inviting them to reflect on their lives and actions. Read more about this remarkable project in this Film Comment interview.